PLAN Interest Groups offer Panhandle library staff the opportunity to network with colleagues having similar professional interests, similar job responsibilities, or from a similar type of library. The Interest Groups will meet online and face-to-face (F2F) to discuss important topics and job-related activities. These informal groups expand knowledge and build relationships among library staff in the Panhandle. Beyond facilitating peer networking and knowledge sharing, Interest Groups may adopt projects to accomplish, undertake group activities, or hold events that include expert speakers or trainers, with the support of PLAN. Quarterly meetings are suggested for the Interest Groups, but the number and format of the meetings are chosen by the Group participants themselves. Check the Events schedule for the next meeting of these groups. Facilitate communications about, and the scheduling for, meetings among the members of the Group. Take initiative to guide the group in planning meetings and discussions. Share ideas via an online forum dedicated to the Group. Meet online, in person, or by conference calls. Plan and organize webinars, online courses, and F2F events. Present programs at PLAN, FLA, or other conferences. Write Blog posts for publication on PLAN’s website. 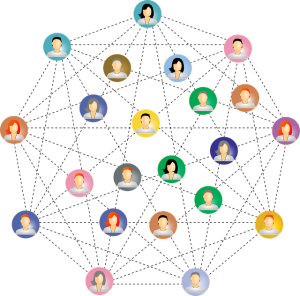 Hold social gatherings and networking sessions for Group members to connect with each other. Promoting them on the PLAN website and in PLAN email promotions. Providing an online meeting format (GoToWebinar) for group meetings. Providing PLAN’s event management system for meeting registrations and for Group members to receive alerts about upcoming meetings. Providing an online discussion forum to facilitate ongoing discussion among the members of each group and archiving the shared knowledge.